As our devices deliver a glut of digital images — whether from our smartphones, tablet PCs or desktop units — the need to process, catalogue and edit all those photos becomes more pressing than ever. Google’s Picasa image editor and organiser isn’t a straight-ahead replacement for Photoshop, of course. However, it does have its uses. For starters, it’s cross-platform, so whether you’re a Windows or Mac user, your choice of OS won’t be a factor. So, you can definitely use it on a desktop, but not on a tablet PC. Picasa is also really good at importing and organising all your digital photos. For example, you can highlight or reject photos before you import them. You can also view previews of photos as you’re importing them. In addition, photos are grouped by time periods as they are imported so you can keep track of them more easily. Picasa’s strong suit has always been its basic photo processing capabilities. This includes things like crop, straighten, auto-contrast and auto-fix; but it also includes slightly fancier (some might say gimmicky) features like automatic red-eye correction. If Google releases a mobile version at some point, it would be extremely useful to access these features on a tablet PC. 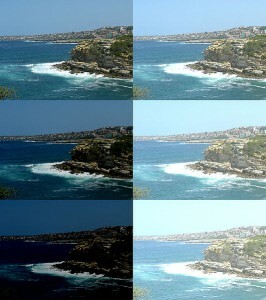 Going beyond basics, however, Picasa’s latest version, 3.9, introduces a series of new effects. The main goal of the new features appear to be to make Picasa more ‘fun’. They allow you to process images through filters like “Lomo”, “1960s” and so on, no doubt belatedly jumping on the Instagram-filters bandwagon that was driven by the smartphone and tablet PC. As PC Magazine notes, “Picasa continues to impress with the smoothness with which it lets you import, organise and perfect your digital photos”. GIMP, or the GNU Image Manipulation Program, is the free and open-source standard-bearer in the image editing software world. It’s as cross-platform as they come, with versions for Windows and Mac, as expected, as well as Linux and Solaris, FreeBSD and AmigaOS 4. However, no mobile versions are available yet, so it’s for the desktop jockey and not for smartphone or tablet PC editors. As Gizmodo notes, GIMP is “the big daddy of free image-editing software” and it’s the “alternative for the power user”. GIMP is feature-loaded, with full support for layers and masks and the fancier photo-editing features like automatic red-eye removal. It also boasts stylus support and channel-mixing, as well as built-in brushes and image filters for anti-aliasing, mosaic and lens distortion. As Yahoo notes, “though it doesn’t yet have all the features Photoshop has, it comes pretty close”. Hopefully the GIMP community will work on a version for a tablet PC or smartphone, especially since Ubuntu’s mobile device will make its debut next month. One issue users have with GIMP is its user interface, which is quite different from Photoshop’s. One solution is to use GIMPShop, which is also free, and is essentially GIMP — with the same feature set — but presented in a Photoshop-like user-interface. This makes it easier for designers and editors transitioning between GIMP and Photoshop. As Tripwire magazine notes, however, GIMPShop just looks like Photoshop, it doesn’t actually support Photoshop plugins. If you were relying on one, you’d do well to check if a GIMP plugin does something similar before making the switch, because GIMPShop does run GIMP plugins. Pixlr is a popular set of Web-based photo editors and other tools. The main product is a Web-based image editor that’s free to use. Recently, free Pixlr photo editor apps have been released for Android and iOS. This means Pixlr will work for your tablet PC or smartphone either as a native app or through the browser. If you plan on working from your tablet PC or smartphone, however, then a native app is probably the way to go. Working in a mobile browser can be a tricky proposition at best, and the potential for lost or unsaved work is high in that environment. Pixlr’s Android app, which is called Pixlr Express, is particularly well-reviewed. As CNet notes in its review, it’s “one of the most powerful Android apps in its category”. Pixlr Express comes with a large array of over 600 effects. Its Auto-Fix feature is particularly powerful, with CNet praising its ability to “do wonders for a mediocre photo” by adjusting colours, fix exposure issues and manipulate the contrast levels. Other, more ‘fun’ features include the “focal blur” feature which lets users blur a part of an image selectively; overlays and borders, which add illustrations or visual effects to the background or borders of an image, and “effects”, which are a set of photo filters. Overall, it’s a very useful editor for your smartphone or tablet PC. There are plenty of free image editing applications to check out for your tablet PC, smartphone or desktop. For desktops, the Mac-only Seashore is a popular choice, while for Windows, Photo Pos Pro is a good pick. Web-based options also worthy of a mention are Splashup and Paint.net. There is also Adobe’s own Photoshop Express Editor, a free Web-based version of Photoshop. If you’re willing to pay something, then check out Pixelmator for Mac and Snapseed for Android and iOS.